The observation deck at Rockefeller Center originally opened to the public in 1933 but was closed in 1986. A newly restored and improved Top of the Rock reopened to the public in November 2005. The observation deck offers 360-degree views of the New York City skyline. The timed-ticket system eliminates the aggravation of waiting on line and even allows you to select the time of day that most appeals to you. Want to enjoy great views of Central Park and see New York City's waterways? Plan to visit during the day. Want to see the sunset? Buy your ticket for about 30 minutes before sunset. Want to experience the sparkle of New York City at night? Plan to come after dinner. The views are best on clear days and, depending on availability, you can book your tickets online with just 3 hours of notice. You can also collect your tickets at the box office or at one of the kiosks selling tickets at Rockefeller Center. 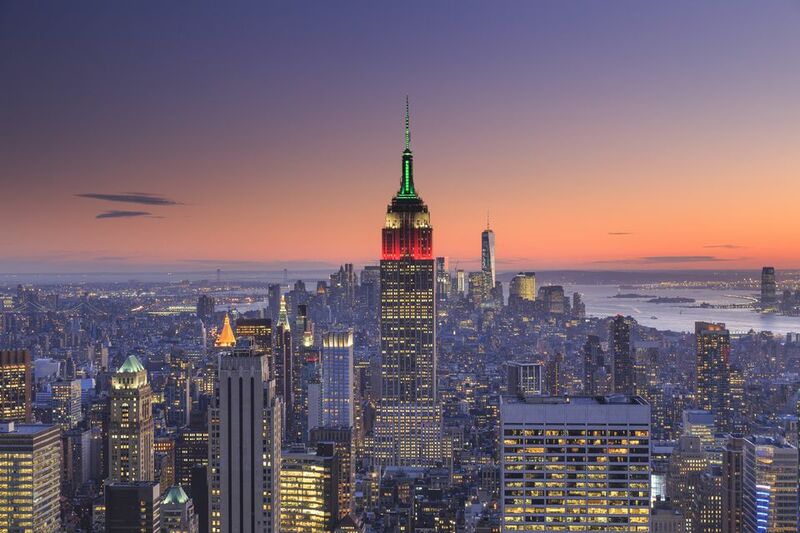 If you have to choose between Top of the Rock and the Empire State Building Observatory, you may want to prioritize the former, as it's far less crowded and the timed ticketing can save you a ton of time. In addition, the views of Central Park are fantastic and you can actually see the Empire State Building. Although the Top of the Rock isn't as high as the Empire State Building, you feel closer to other buildings. If you're interested in exploring Rockefeller Center more thoroughly, you can take the Rockefeller Center Tour. There is also a Rock MoMA pass, that covers admission to both the Top of the Rock and the Museum of Modern Art (available at the Top of the Rock box office).